Dear media: Call it what it is—a climate cover-up. As our nation’s top official sworn into office to ensure, “national efforts to reduce environmental risk are based on the best available scientific information,” Pruitt’s statement on CNBC’s “Squawk Box” raises some troubling questions on his ability to carry out his agency’s mandate—or even provide a forthright characterization of his agency’s scientific work. Tremendous disagreement about the degree of impact of human activity on the climate? 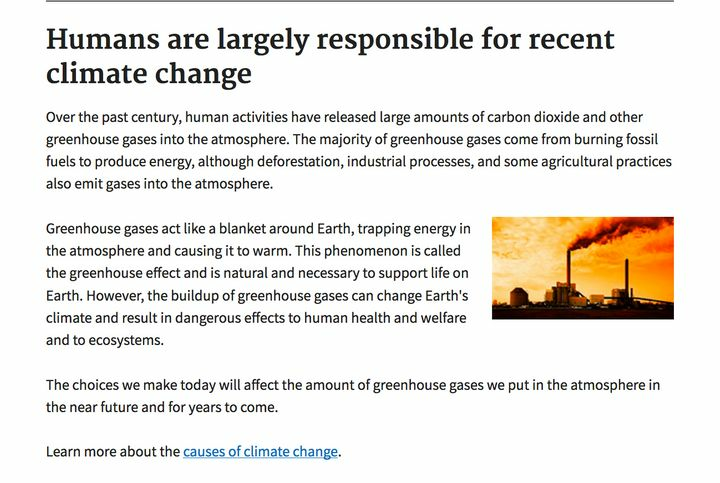 Not so, according to Pruitt’s own EPA and its website on climate change: Humans are largely responsible for recent climate change. Not so, according to Exxon’s own research team in 1977, as Inside Climate News reported in its expose in 2015: “In the first place, there is general scientific agreement that the most likely manner in which mankind is influencing the global climate is through carbon dioxide release from the burning of fossil fuels,” Black told Exxon’s Management Committee, according to a written version he recorded later. Therefore, let’s finally put to rest the prevarication of “climate denial” terminology. Those of us whose families in coal country have paid the ultimate price for such denials, in the form of black lung disease that still rages, cancer-linked strip-mining operations that still rage, and contaminated toxic water, understand the difference between denial—and a full blown cover-up. With the fallout of record warming temperatures, a growing climate migration crisis and vanishing arctic sea ice, that cover-up is not just a question of semantics. It’s a question of the EPA’s fundamental mission—and our planet’s future.